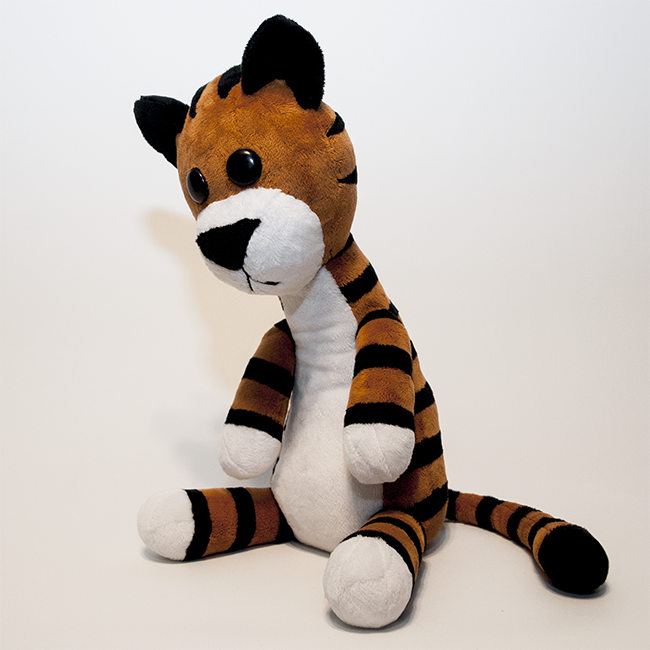 An adorablely cuddly plushie of Hobbes the Tiger in his ragdoll plushie form. 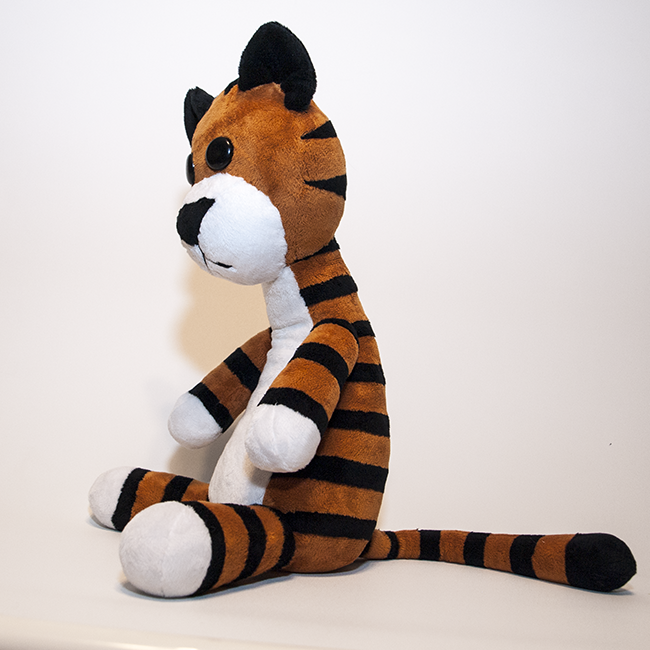 Hobbes is made from minky for a soft, cuddly touch and bubbly look. 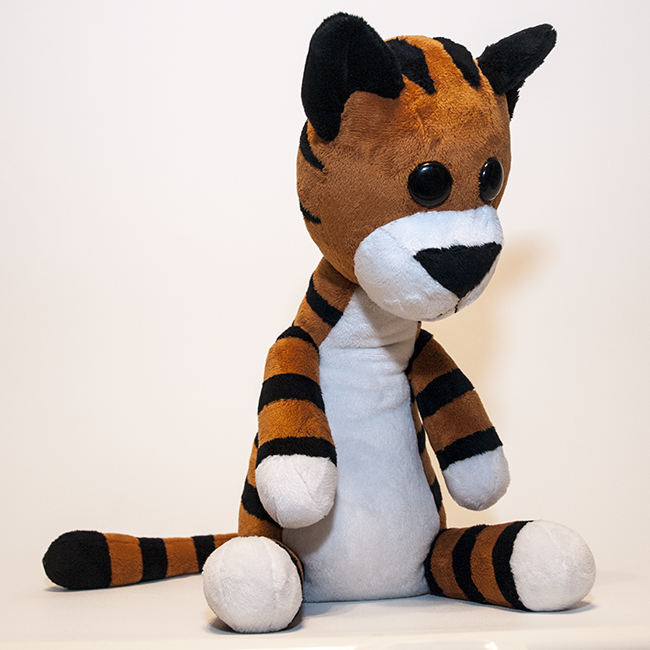 Filled with high quality stuffing, and a lot of bean pellets in his bottom,limbs and tail for a very fun and floppy design, He is well suited as both a display plushie, or as plushie to be cuddled and played with. 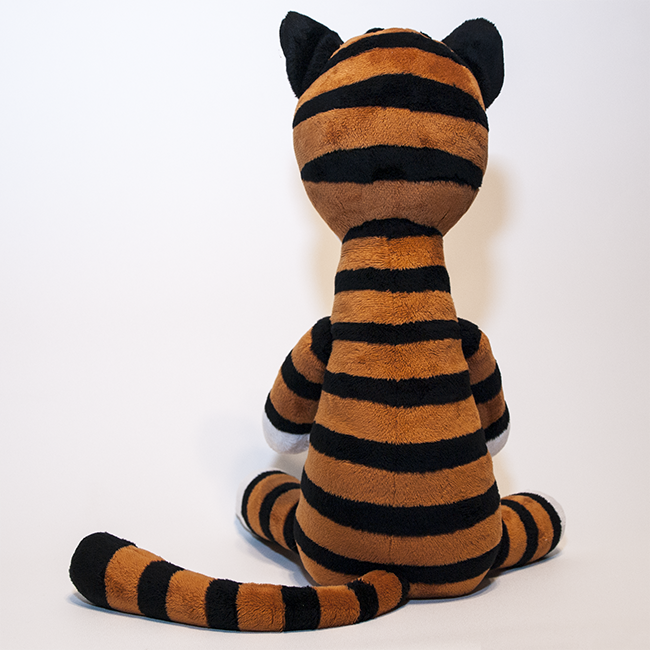 The stripes of this plushie were sewn from individual pieces of black and orange fabric, so it was quite time consuming to create the stripes. 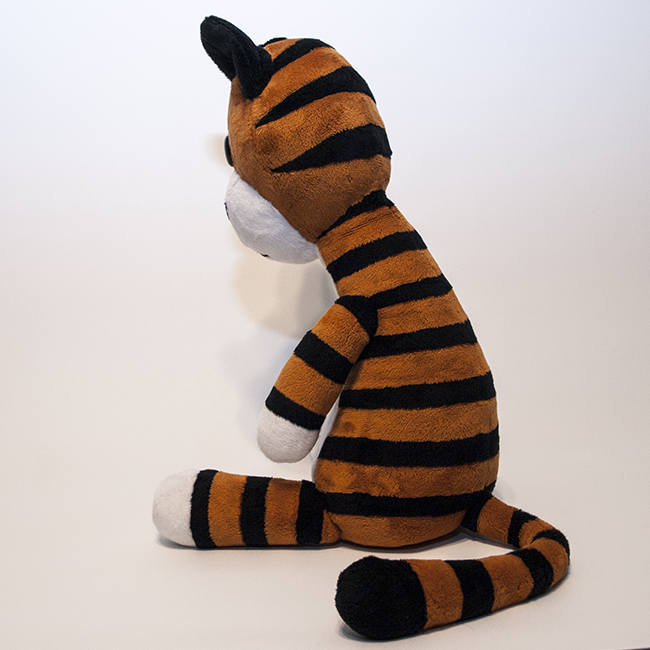 But his final shape is very simple and durable for play. His eyes are made from plastic buttons, and his mouth is made from embroidery floss. 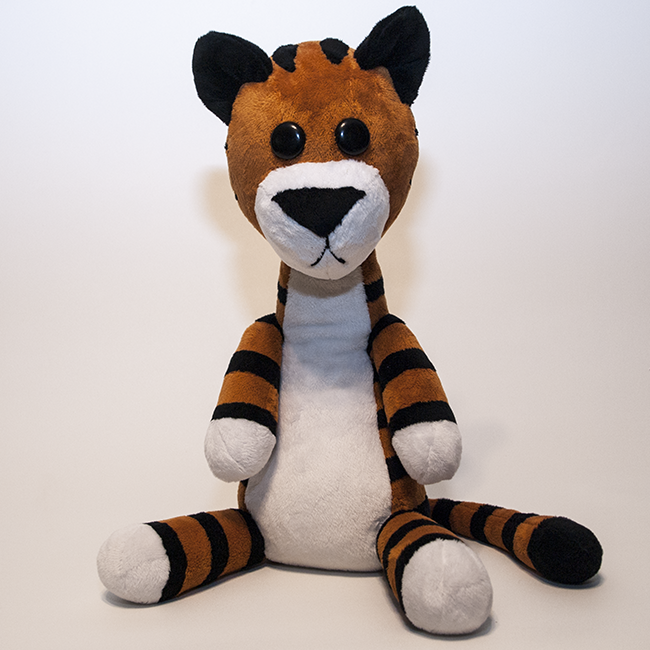 The example plush uses a neutral burnt orange for his fur. 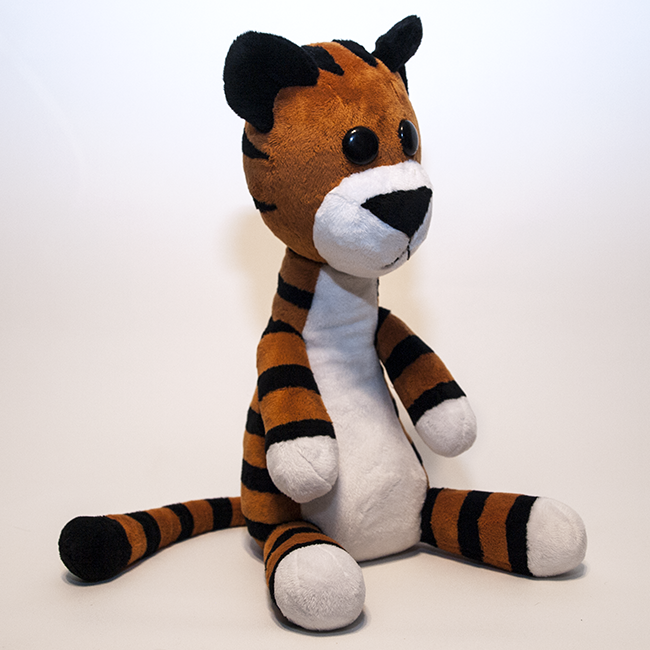 If you would prefer a brighter orange variation, I can do that upon request!